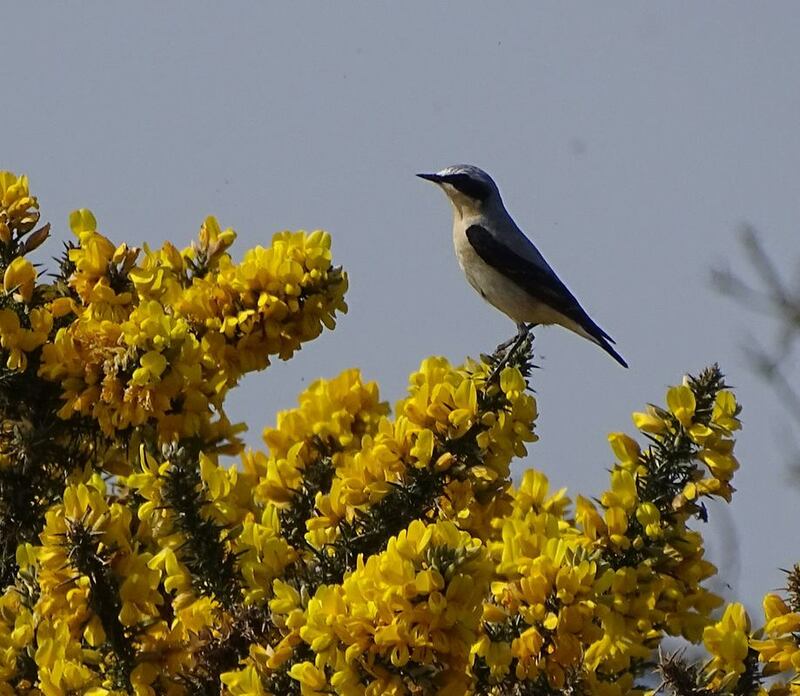 ​June is always a quiet month as most of our birds are migrants either passing through or spending the winter here. However, in the summer the Mersey provides a safe place for two species to moult. Canada Geese peak in June or July and this June we had 7,932, not quite a record but not far off, maybe next month we will set a new record. The other species that use the estuary to moult is Shelduck, they peak in July or August so the 1,200 we had this month may well increase by a factor of ten next month. 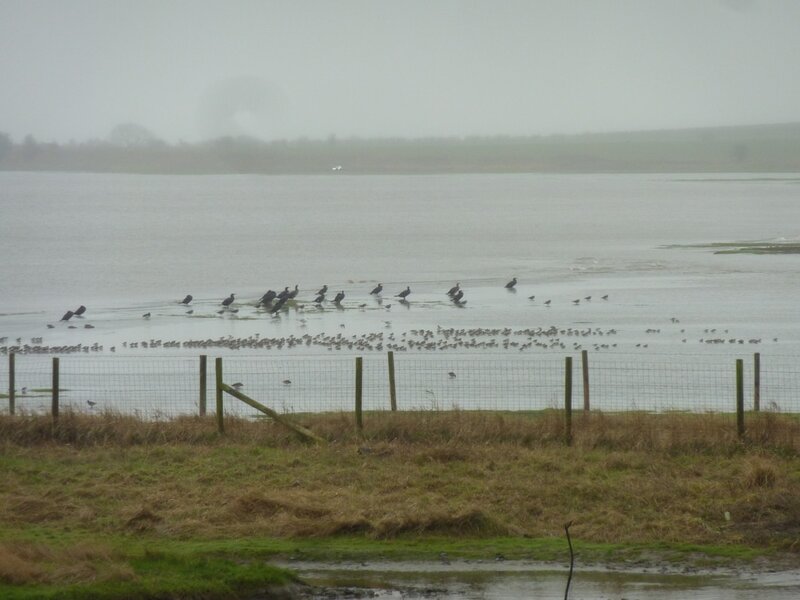 Otherwise 925 Black-tailed Godwits and 19 Avocet were the only notable counts. June marks the end of the 2016-17 WeBS year and it was a remarkable year. We recorded 112,000 native waterbirds, up from 105,000 last year. 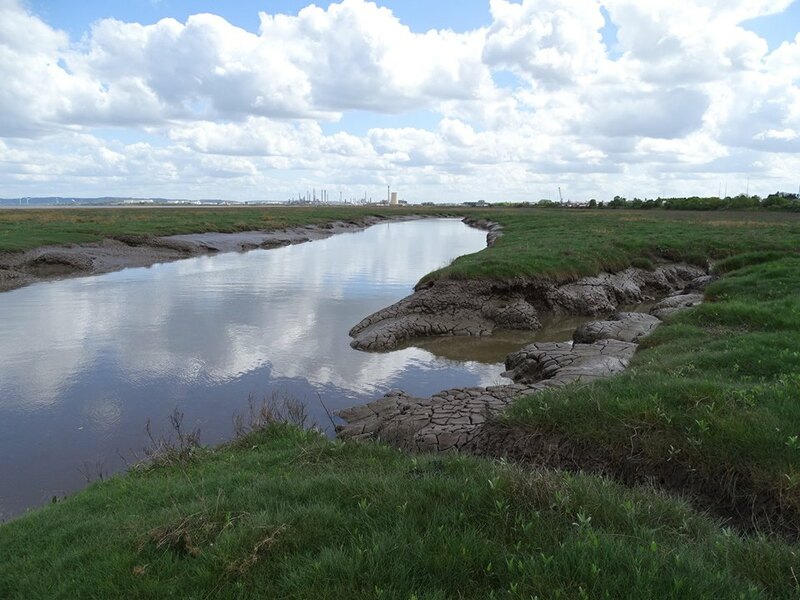 This makes the Mersey the 11th best wetland in the UK for wetland birds. We recorded four new species (Glossy Ibis, Glaucous Gull, Muscovy Duck and Cetti’s Warbler). We also set twenty four new records for species of WeBS waterbirds (excludes gulls and passerines). 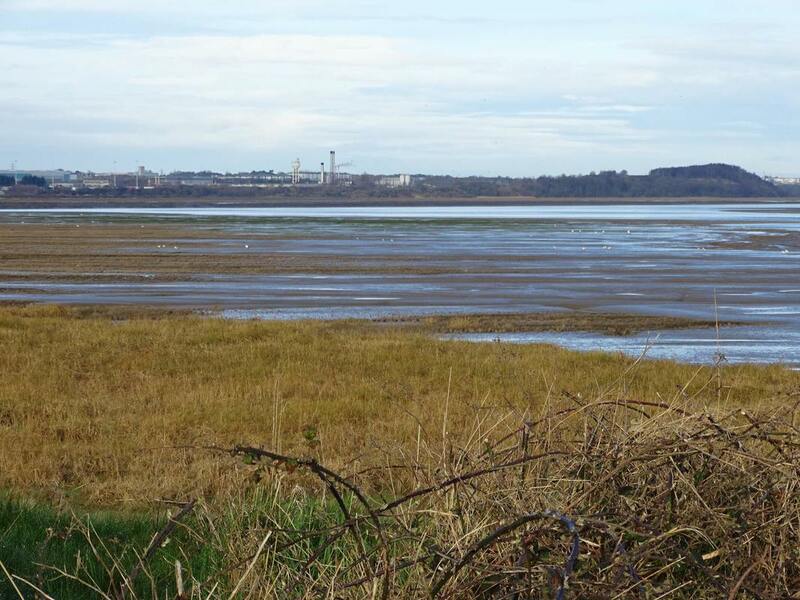 The Mersey Estuary WeBS site now includes everything from the mouth of the Mersey at New Brighton right up to Fiddler’s Ferry Power Station, whereas before it just included the central area from New Ferry to the Runcorn Bridge. Therefore, some of the records are due to an increased area of coverage. We also have more bird counters than ever, so some records may be due to increased observer effort. However, many of the species' increases are due to genuine increases in certain species. 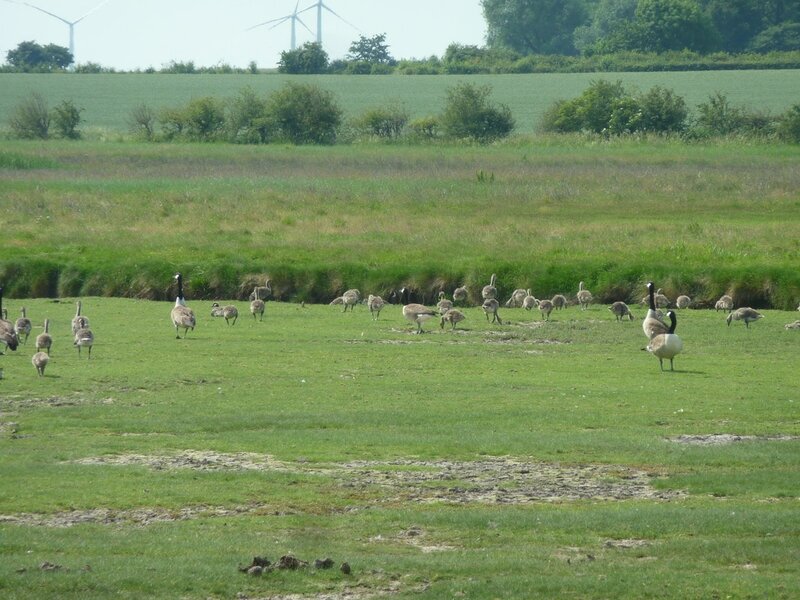 ​Of those records the most significant are for Canada Geese, confirming our spot as the number one site in the UK for this non-native species. 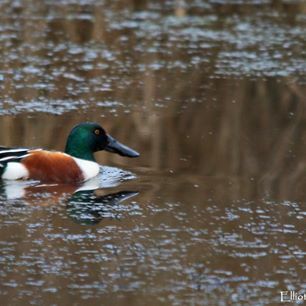 The shoveler count is nationally important and for the second year in a row we have had nationally important numbers. 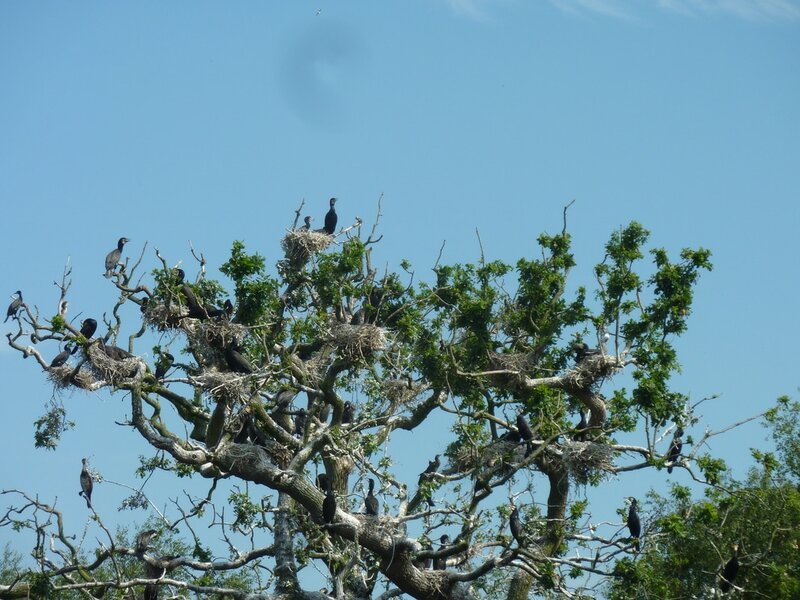 The cormorant reflects the large numbers now roosting and breeding at Hale Decoy. 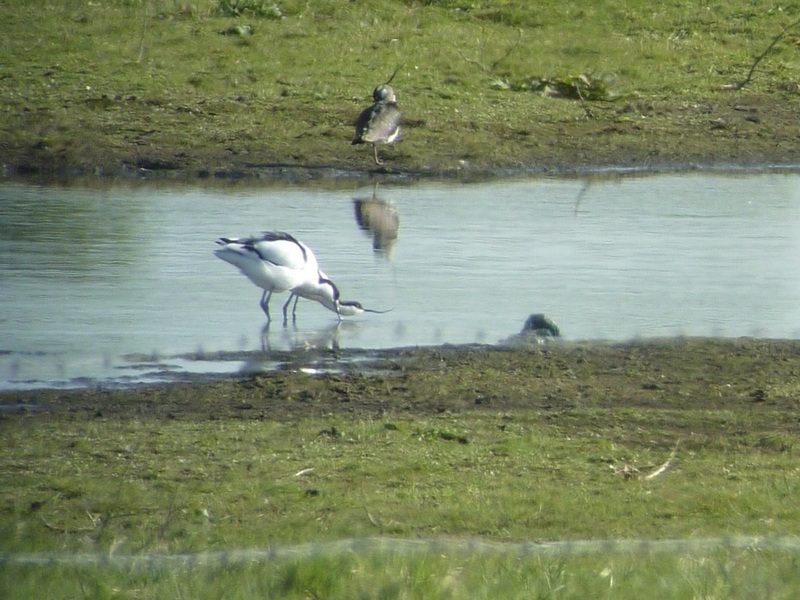 Avocets are a bird finding Carr Lane Pools and the Frodsham Lagoons attractive places to nest (though not always very successfully). 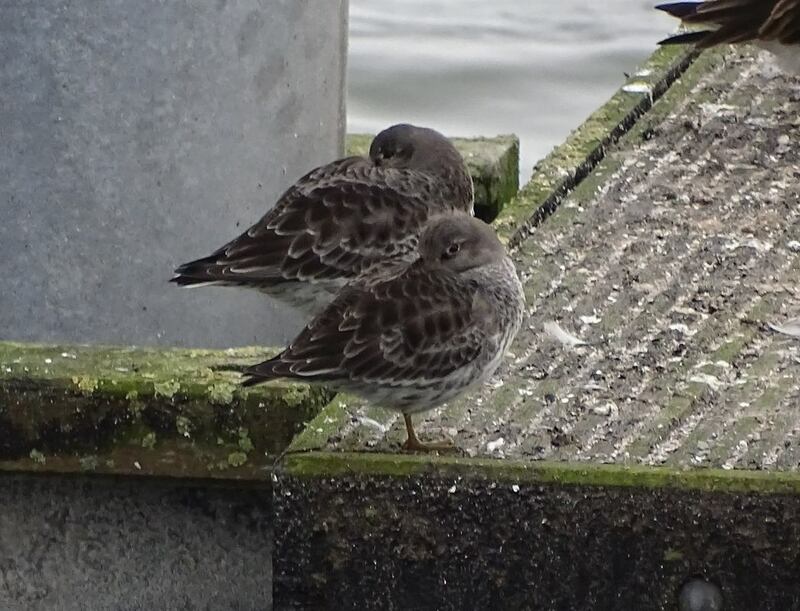 The purple sandpiper reflects our increased coverage, now including New Brighton Marine Lake. The same applies to turnstone. However, I think we are still undercounting turnstone in the more urban areas which we don’t cover so well or are hard to get access to. 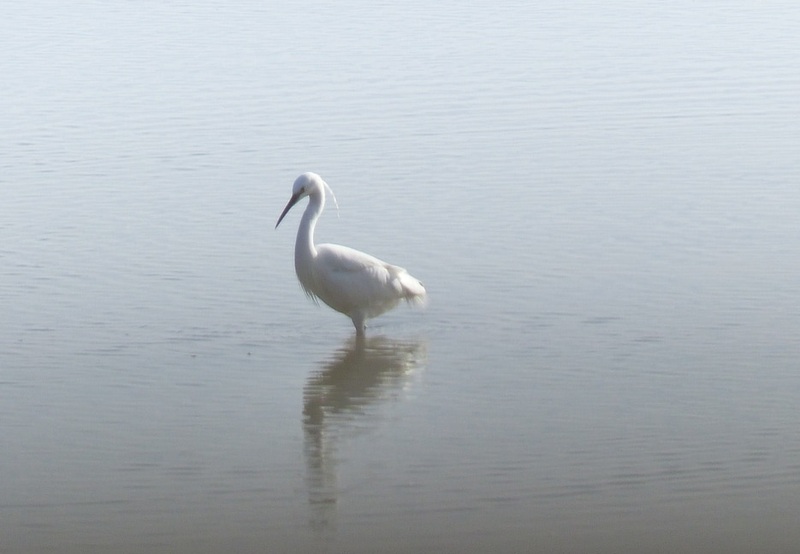 Little egrets and great-white egrets are showing genuinely increasing numbers. 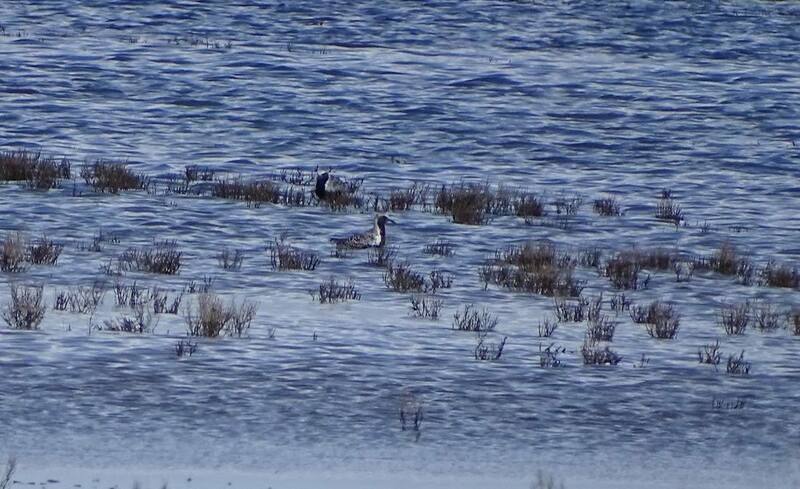 The one I am most pleased and surprised by is Dunlin. 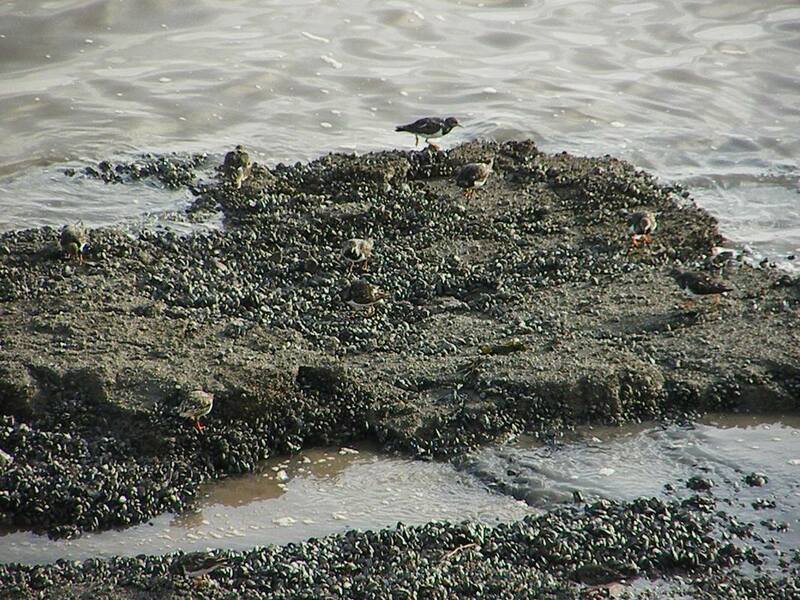 We are the number one location for overwintering dunlin in the UK. 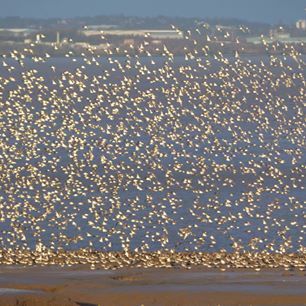 We set a new record last winter for Dunlin and I was amazed we set another this year of over 68,500. The other really significant record count was black-tailed godwit, for which we are internationally important. Both these species have shown genuine increases. 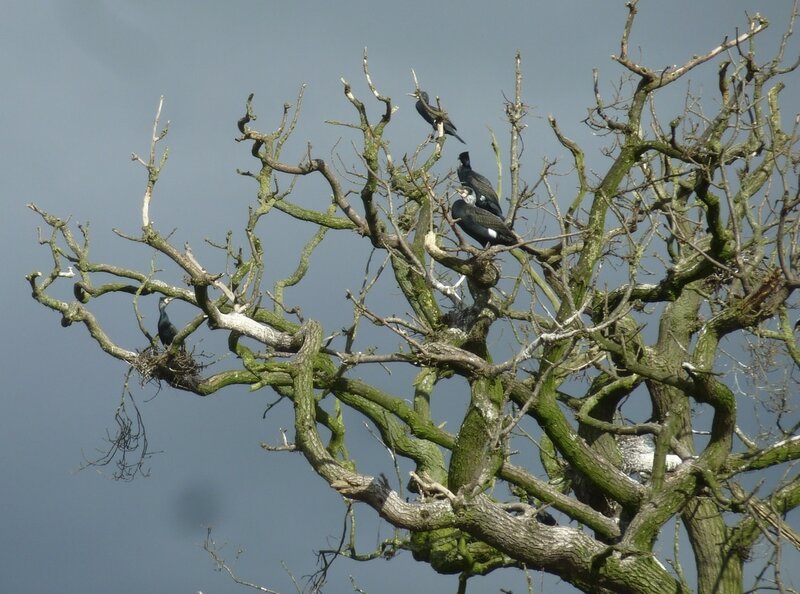 The importance of a site for birds is measured by the percentage of the UK or European population present. If a site has 1% or more of the UK population it is nationally important, if it has 1% of NW Europe’s, it is internationally important. 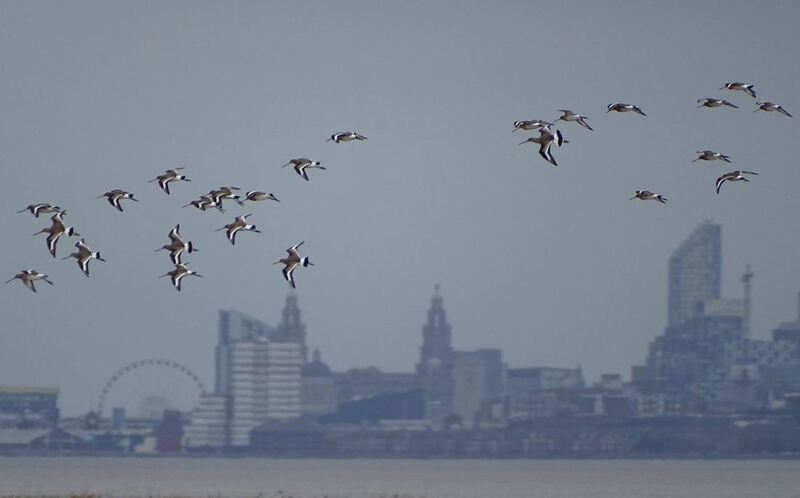 Therefore, in conservation terms, based on five-year maximum count averages, the Mersey is internationally important for 5 species: Shelduck, Ringed Plover, Dunlin, Black-tailed Godwit and Redshank. 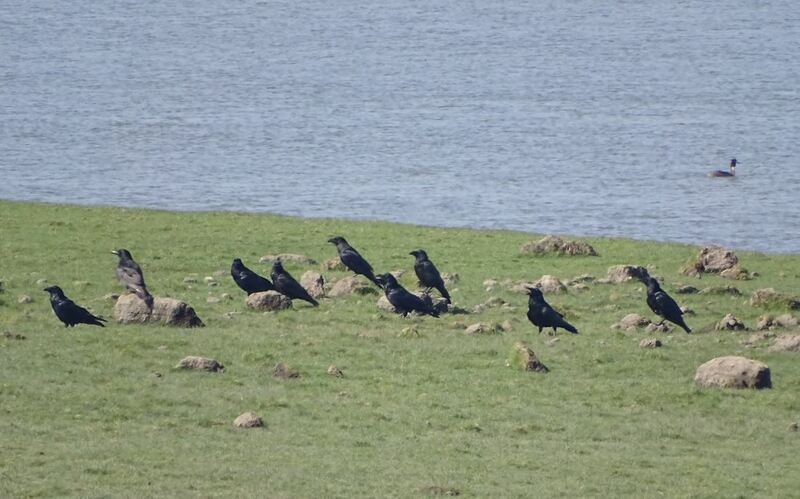 It is nationally important for Teal, Grey Plover, Lapwing, Little stint, Ruff and Curlew. Sadly, this year we failed to record an internationally, or even nationally, important count for teal, a species for which, in the 1980's, the Mersey Estuary was the most important site in the UK and by a considerable margin! 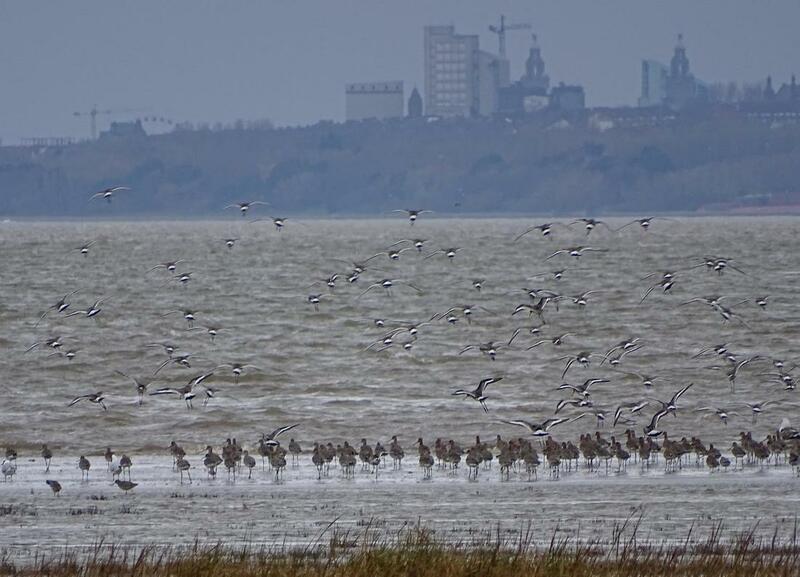 I would like to thank all the Mersey Estuary bird counters who spend one Sunday each month, whatever the weather, counting birds. Without them we would not know the value of the Estuary. Having such data is invaluable in helping to protect the site from damaging development, something that may become very important over the next few years if the proposed barrage continues to be supported by the new Liverpool Mayor. Interesting to note that in one year’s time Liverpool will lose its World Heritage Site designation unless it controls development that UNESCO says is ruining its historic character. I hope it doesn’t lose that designation, or the Mersey Estuary’s many designations including its UNESCO RAMSAR site designation, due to ill thought out and unsustainable development. A very quiet count generally, but still with some interesting birds and two new records. 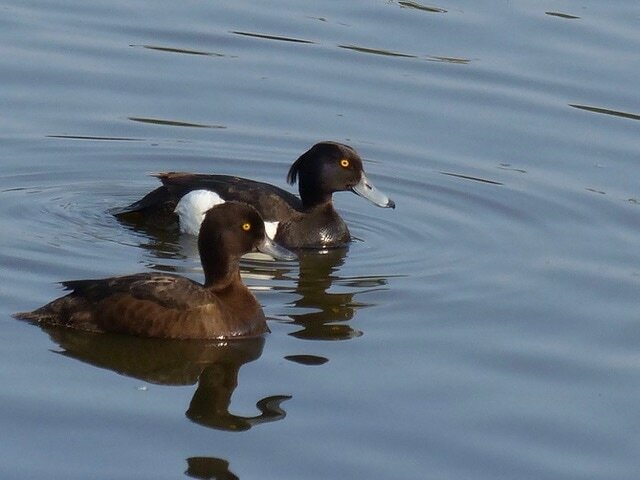 The first new record was for tufted duck, 390, mostly on the Weaver Bend and Frodsham Lagoons and was unexpected in May. Thirty common terns was also a record but not unexpected as the Estuary now includes Birkenhead Docks where there is a colony. Two hundred and seventy three ringed plovers was probably the other stand out bird, with 221 of these at Garston. After the 800 in August this was our second highest count this winter and it perhaps shows that the May peak that occurs round the country doesn’t always miss the Mersey, more likely we miss the birds as they pass through. 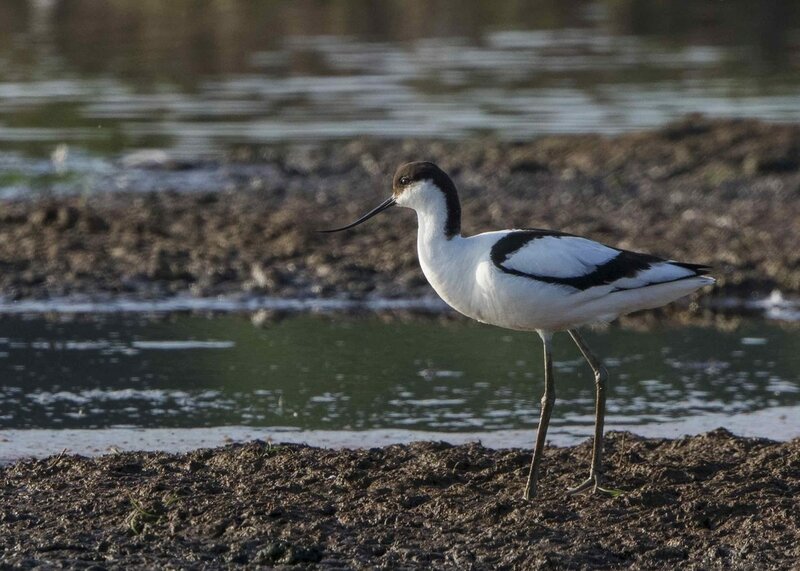 Forty four avocets were the highest this winter. 1,100 black-tailed godwits were down from last month’s record 3,800. The largest flock was at Oglet with 550 birds. 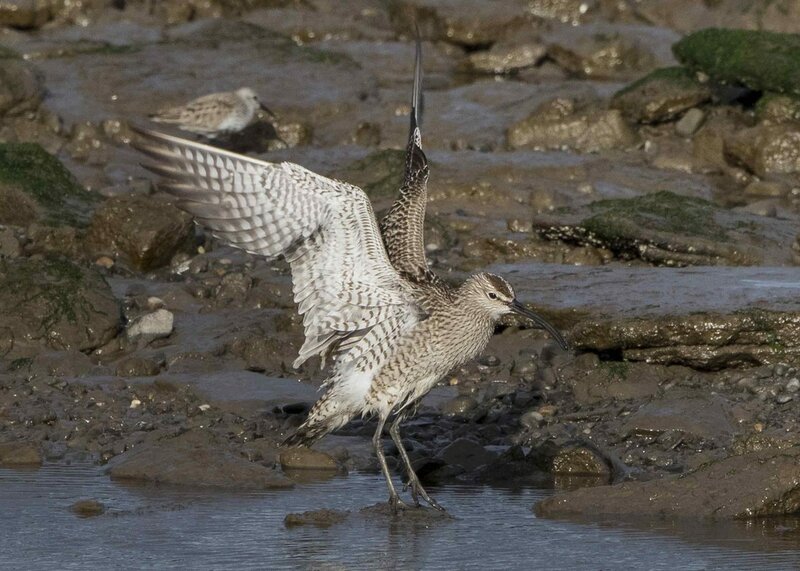 22 whimbrel was lower than recent years and last May’s 84 but still markedly higher than years prior to 2013 when the highest was 16. Redshank dropped from 1,600 last month to just 17. Six sandwich terns were also remarkable. 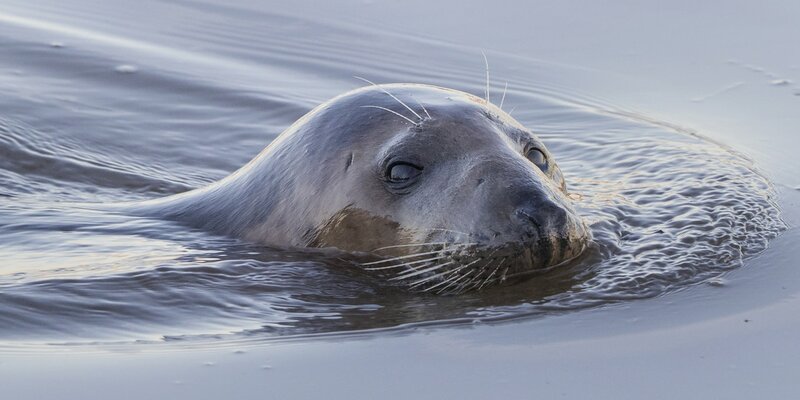 The most exciting sighting was made by Dan at Garston who had a harbour porpoise and a grey seal! ​Next month is usually the quietest month, but it is also our peak month for Canada geese, will we top 10,000? Two things stand out this month: a new record for black-tailed godwit with 3,852 beating the previous record of 3,304 and our third record of green-winged teal found at Manisty by Paul. Canada goose at 696 was the lowest count of the WeBS year and first less than 1,000. 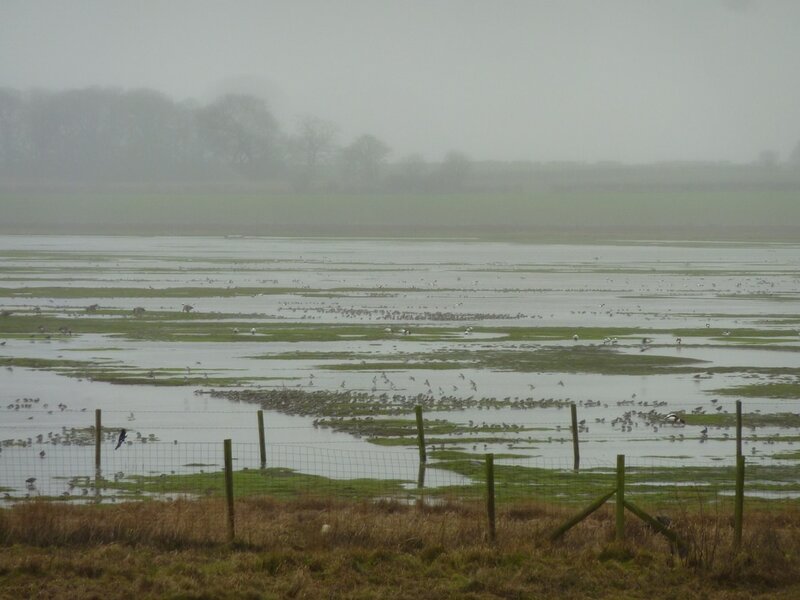 Wigeons were down to eight, when there were nearly 1,000 last month. There were still ten goldeneyes. A green-winged teal was our third record: one in Dec 2015 at Frodsham and one in 2002-03. One great white egret was noted. An unusual find was eight sanderling at Stanlow Point. 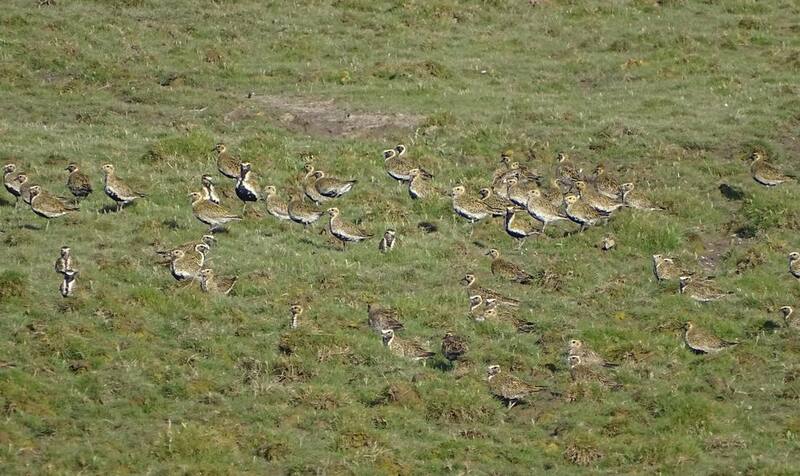 Dunlins had dropped to 535. Sixteen ruffs are of national importance. 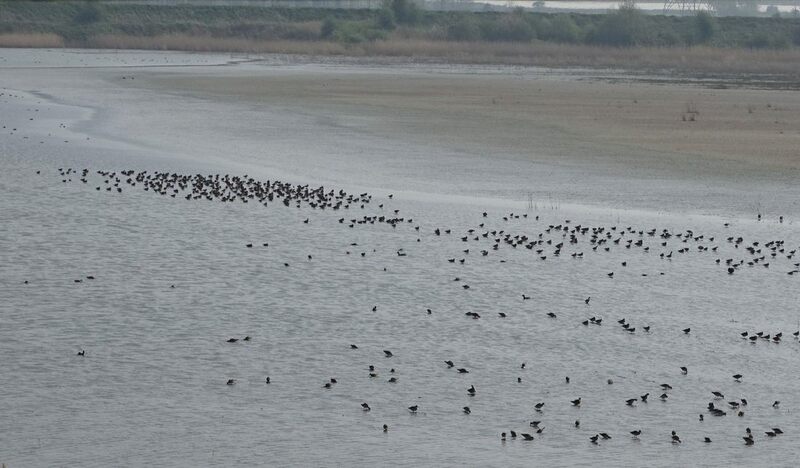 A new record of 3,852 black-tailed godwits beat the previous record of 3,304. 885 curlews was a good count suggesting a spring passage for what is becoming an endangered species, with a rapid decline in breeding birds. One spotted redshank was a good record. 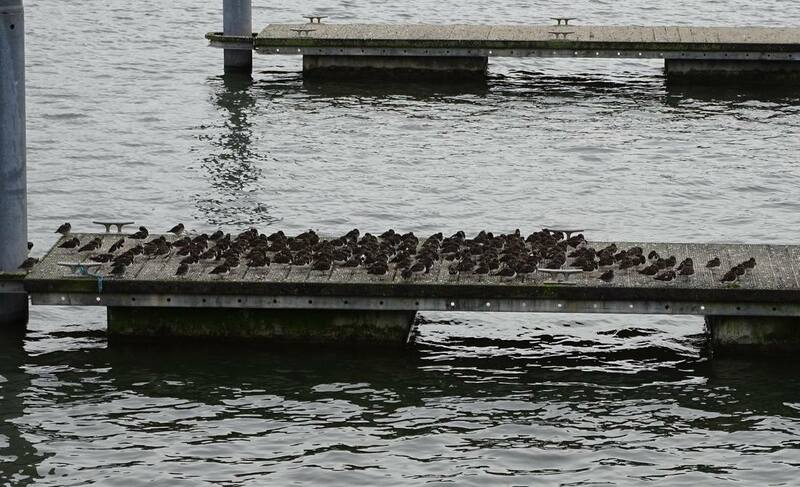 254 turnstones is another good count, along with six purple sandpipers still at New Brighton Marine Lake. Three Mediterranean gulls were at Frodsham and four sandwich terns were counted at the Narrows. For the third consecutive month we have had twite, with four birds at Oglet and three at Garston. 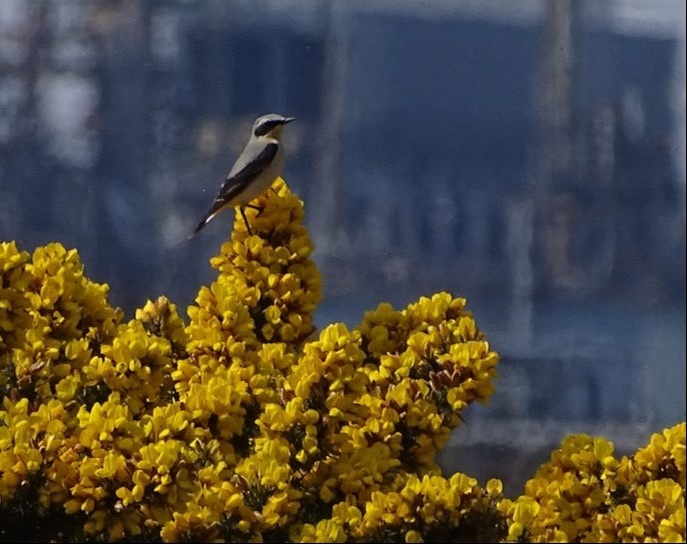 Other passerines of note were a couple of dozen wheatears along Frodsham Score. ​As there was no monthly summary for February this one combines March and February. The February count was cold, but the weather for the March count was fine; sunny and warmish, although some drizzle arrived just about high tide and stiff wind began. Although February seemed a quiet count there was a new record, 49 goldeneye, all on the Weaver Estuary, beating the previous record of 30 set last winter. 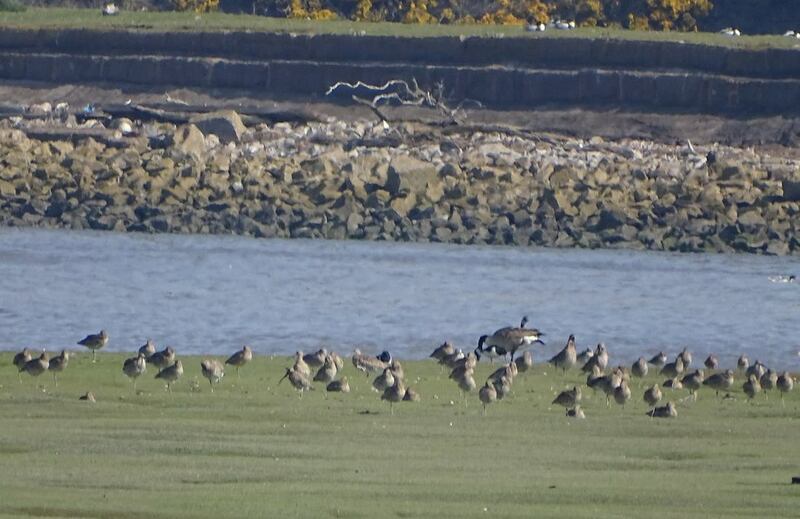 There were no new records in March, however 397 pink-footed geese was the second highest. The highest was a 850 in 1981-82, which was the only record in a 20 year period. 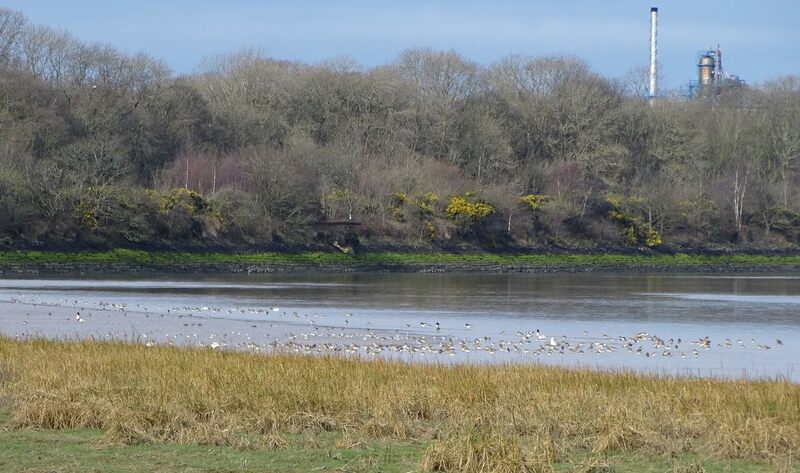 Pink-footed geese have been increasing in recent years but we are only getting 5% of what the Dee gets. However, I believe the wildfowlers do see more using the estuary to roost at night. 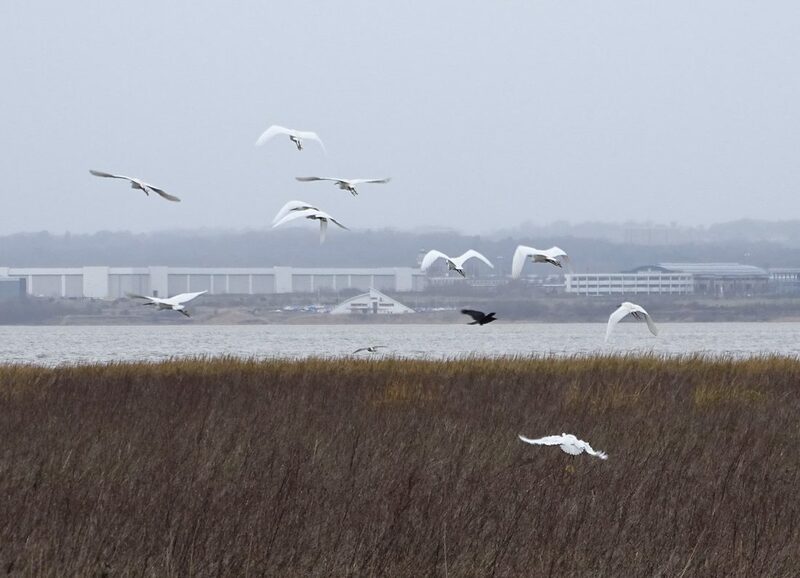 In March a lot of winter visitors leave the estuary to head north, while some migrant species use the estuary as a stopover, so it is not long before the 20 whooper swans will depart. Teal, mallard, wigeon, goldeneye and pintail have decreased since their highs earlier in the winter. However, 1,800 shelduck was the highest since the 6,500 birds in August. ​Only 1,663 teal in February and 795 in March means that our highest count for this key species this winter was 1,900, only the third winter since 1970, when we began counting the at Stanlow, we have not met the nationally important threshold of 2,100. There has been a steady decline for this species from 7,000 in 2012-13 and is nowhere near the days of 1970s, 80s and 90s when over 10,000 was to be expected. 203 cormorants was the highest count since August and 34 little egrets continues the double figure counts that began in August. Amongst the waders 500 oystercatchers means they are still present in much higher numbers than they used to be just a few years ago. 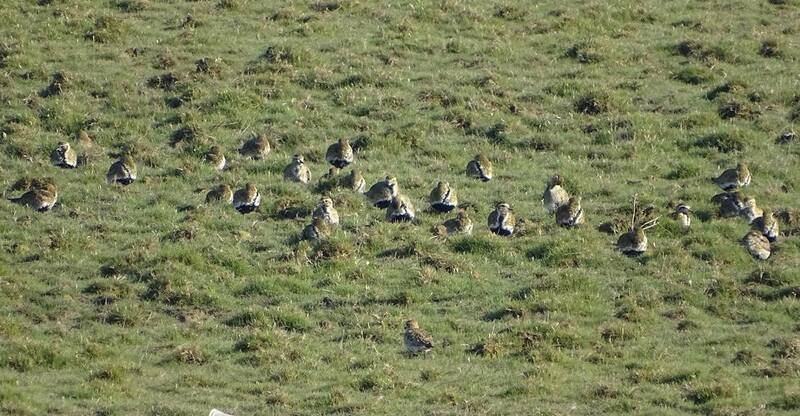 200 golden plovers and 42 grey plovers mean many have left: heading north. The 10,000 lapwings in January fell to 5,000 in February and just 268 in March means they are well on their way to their breeding grounds. 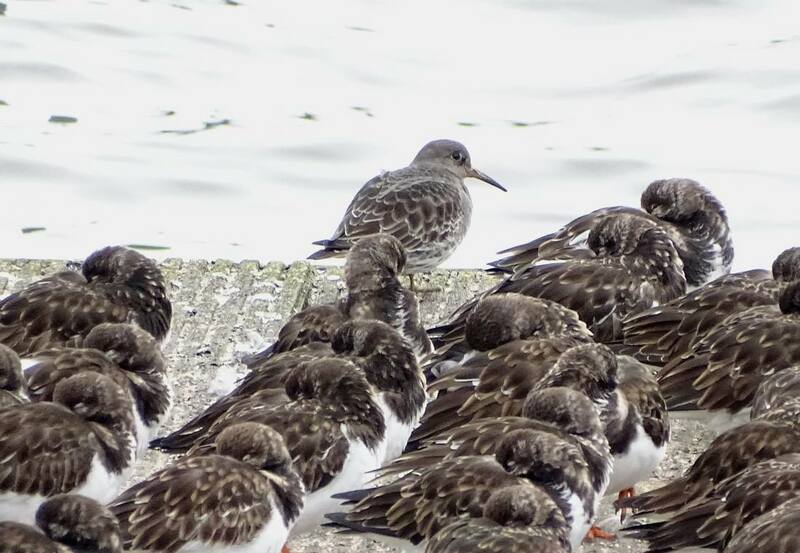 There was one new high in March of 10 purple sandpipers. 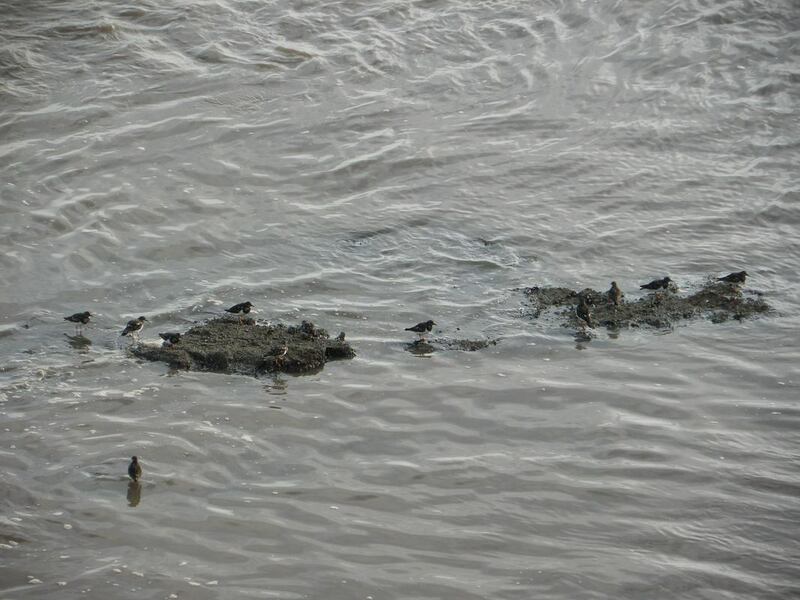 However, that is a bit of a false record as this winter is the first time the Mersey Estuary WeBS counts have included New Brighton Marine Lake (Perch Rock Pool), which is a traditional roosting site for this enigmatic species. As is usual in March dunlin numbers declined dramatically from over 30,000 in February to just 1,200 in March. 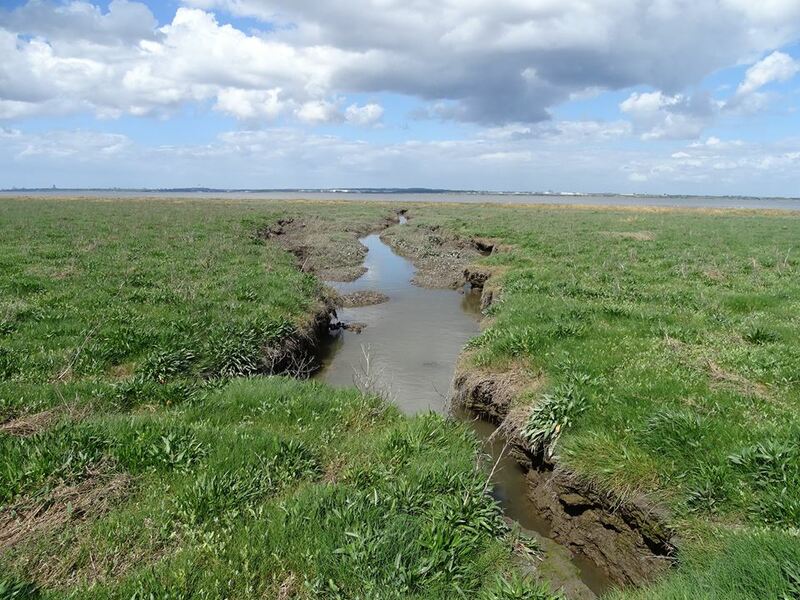 However, three of our key wader species increased in March suggesting a spring passage. 2,351 black-tailed godwits was the highest count this winter and internationally important while 713 curlew was up on February’s 400 and 3,100 redshank was an increase from February. 17 ruff was our highest count since September and is nationally important. 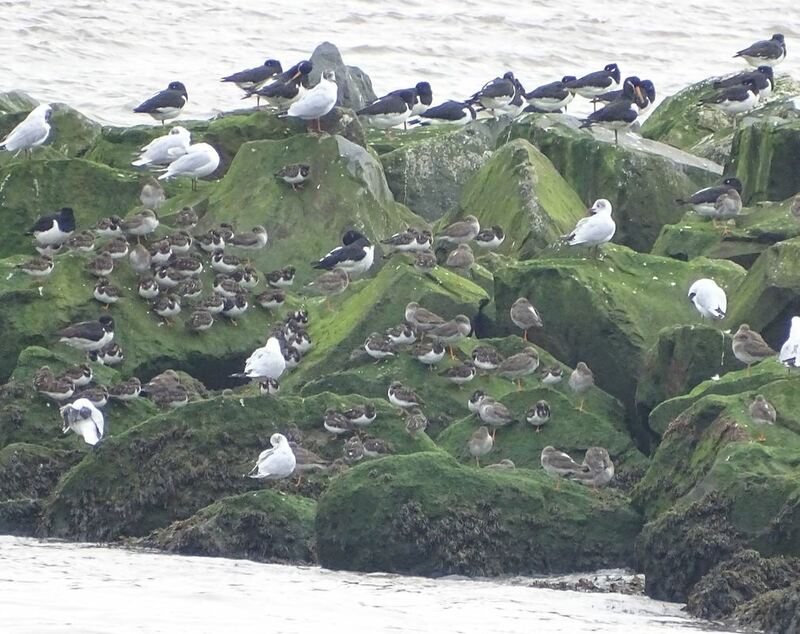 316 turnstone was a good count. Given this and the count of 444 in January, which was almost nationally important I think the Mersey could be nationally important for this species if we counted all the areas where they roost which we currently don’t. We need better coverage in Liverpool as I know birds use this area but we don’t count it regularly. Among the passerines the most remarkable sightings were 20 twite seen in February at Manisty and a snow bunting at the pond at Port Sunlight River Park. A miserable, wet and cold day, with poor visibility at times, didn’t fill me with a great deal of hope. Teal numbers were again disappointing with only 1,750: this is well below the nationally important threshold of 2,100 and quite surprising given the cold weather in Europe at the moment. Not so long ago, for example winter 2012-13, we had over 7,000 and in the late 1990's over 10,000 was to be expected. In recent winters we have been struggling to get 2-3,000. However, wigeon numbers were up to almost 1,800. 1,000 shelduck is nationally important. Canada geese were down to 1,600 from last month’s 3.800. Two great white egrets was good to see and 27 little egrets, while lower than previous months, shows they are still here in good numbers. 10,800 was a really good count of lapwings, 3,000 more than our recent average and that does not include a further 1,000 at Fiddler’s Ferry which is outside the Mersey Estuary WeBS site. Grey plover continue to be in low numbers with only 146 and a maximum this winter of 250: this is well below our average of 486 in recent years. Four over-wintering little stint is a good count and nationally important. 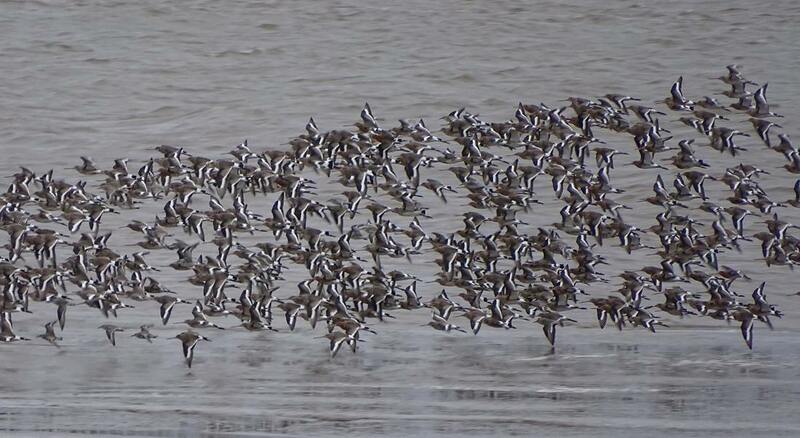 Dunlin were well down to 25,000 and only 300 curlew is very low, when last month we had nearly 1,000. We had our highest count of redshank since 2004 with 3,900 which is internationally important. 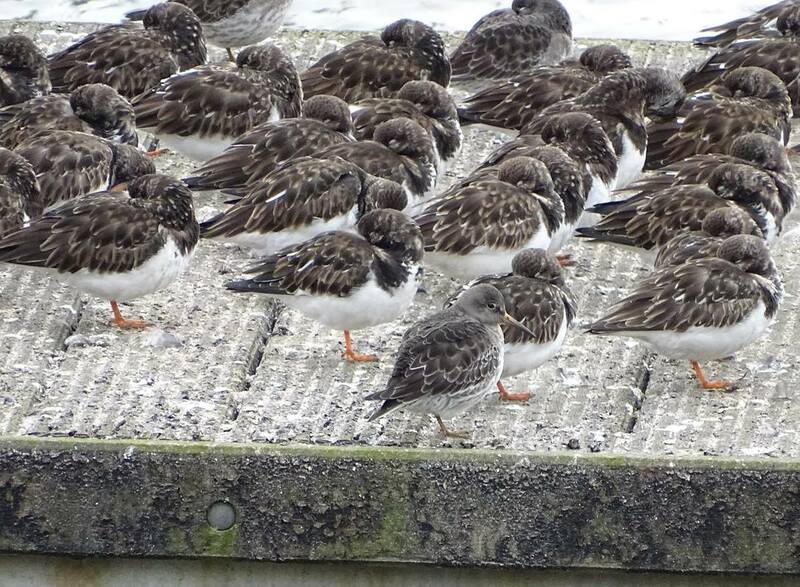 We have again beaten our turnstone record of last month’s 218 with 444. The nationally important threshold is 480. 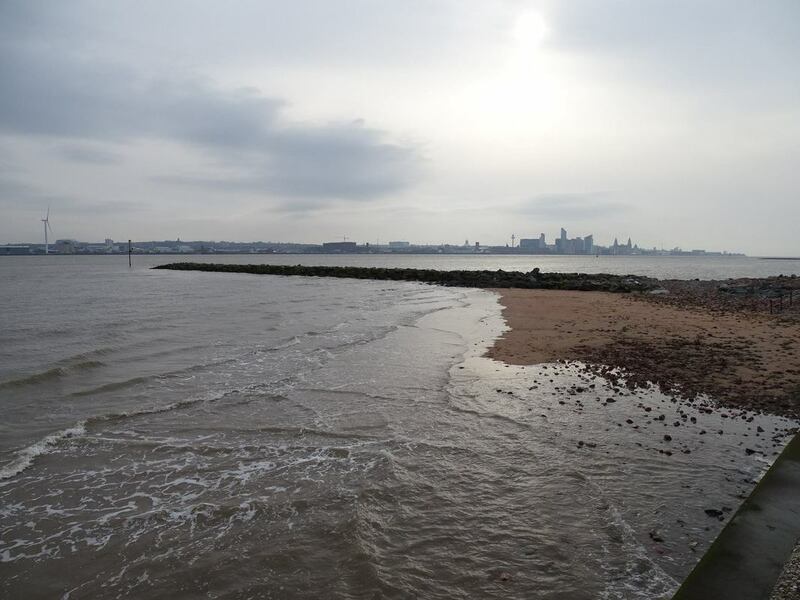 This is due to our increased counting effort and new areas, like Seacombe and New Brighton Marine Lake (aka Perch Rock Pool). 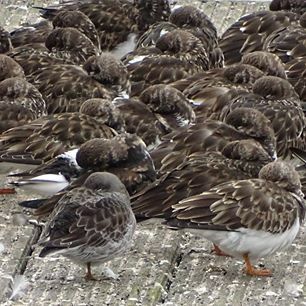 There are also good places for turnstone we don’t yet count around Liverpool city centre and the Birkenhead waterfront. 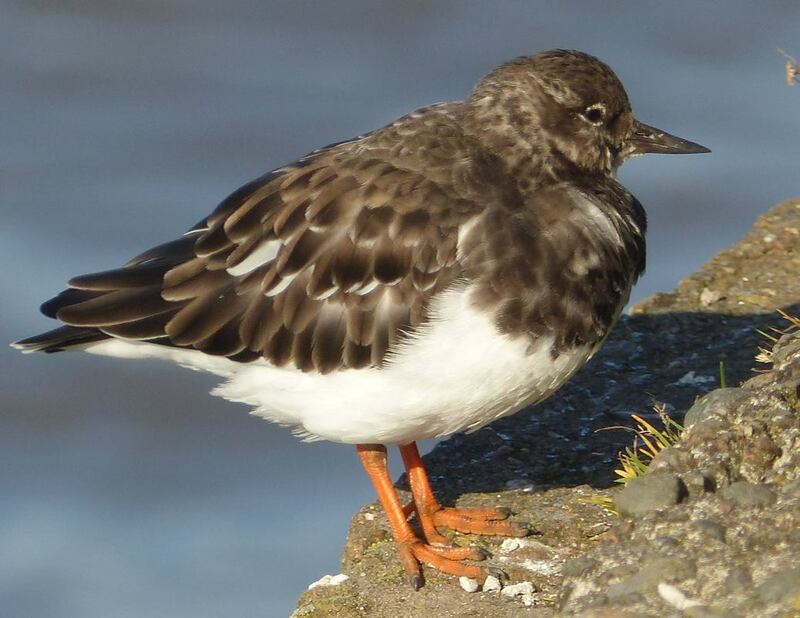 If we begin to count those we might find the Mersey is nationally important for turnstone. Although not a rocky coast or pebbly shore the Mersey has some excellent mussel beds exposed at low tide that the turnstones seem to like. Given the weather it was good to see six species of raptor and short-eared owl at Stanlow. 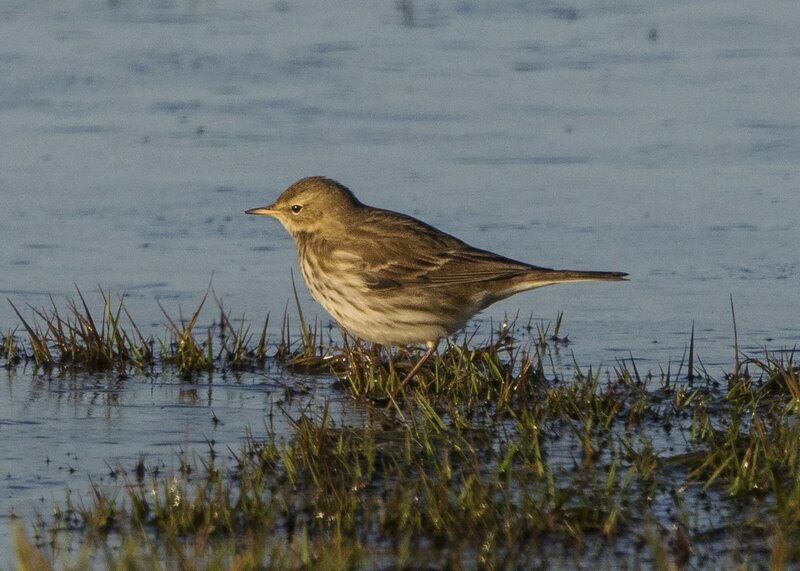 For the third consecutive month we had water pipit: with the birds spending the winter at Carr Lane Pools.